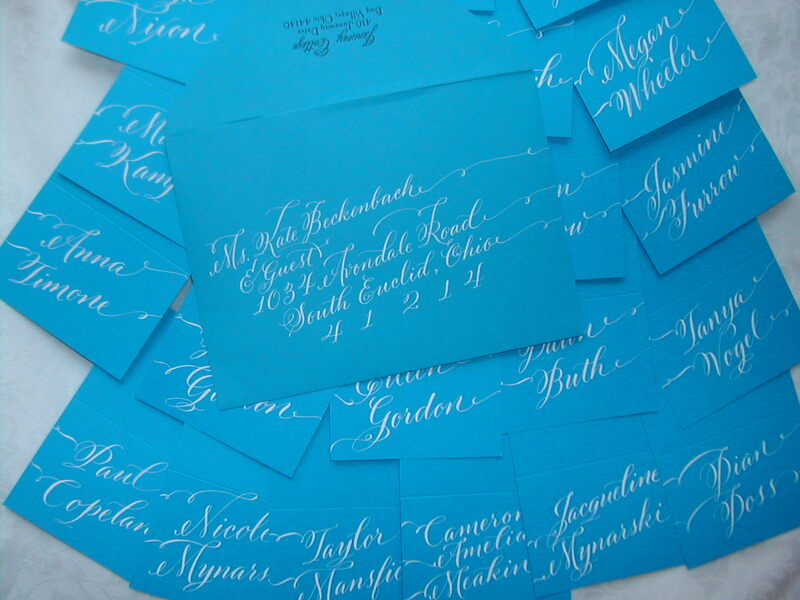 I previously posted about these gorgeous peacock blue wedding envelopes I had the delight of addressing and now I would love to show you the matching place cards. 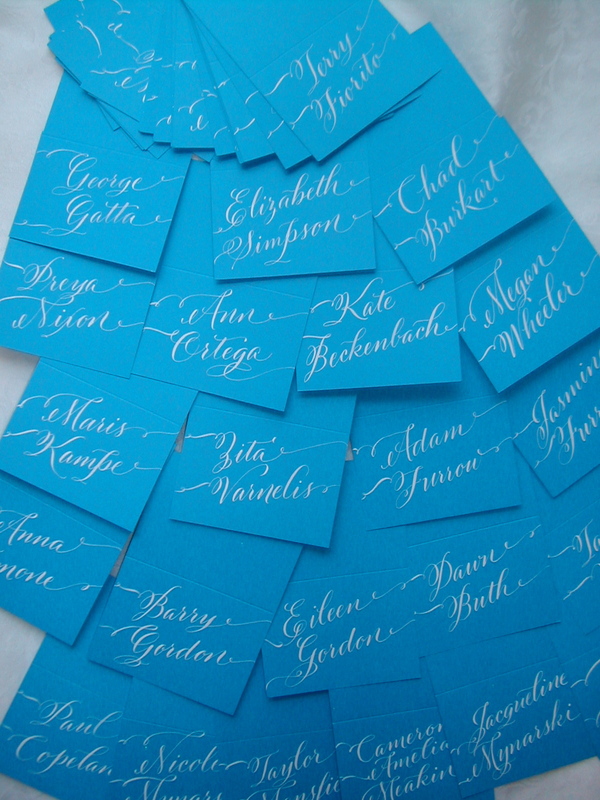 Like the invitation’s envelopes, I hand lettered at an angle in white ink. I love the look of the flourishes wandering off the edge of the card. The contrast created by the deep colored paper and white ink is one of my favorites and makes my font, Belluccia, stand out more than in any other combination. 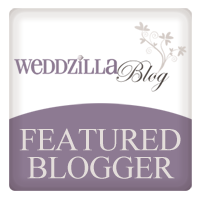 I loved contributing to this beautiful wedding and I hope my place cards add a special touch to the reception. 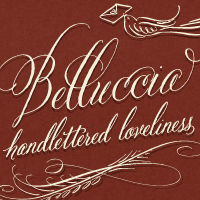 And as always my calligraphy font, Belluccia, one of myfonts Most Popular Fonts for 2011, is available at : myfonts.com and fontbros.com.